Method and process are important in business analysis, but knowing how to use them is even more so. As a business analyst you can increase your effectiveness most by developing your soft skills, recognising that finesse can be more effective than force. Once developed, you will find that these skills are transferable across project types and whole industry sectors. This book illustrates the application of NLP to develop competencies - better equipping you to communicate across cultures, reframe problems, manage stakeholder groups, resolve conflicts, motivate teams and become an even better leader. Dr Peter Parkes has held programme director roles in the private and public sectors, public private partnerships and ‘Big 4’ consultancy practices. He is a Fellow of BCS, The Chartered Institute for IT, the Association for Project Management and the Chartered Management Institute. With the APM he is a Trustee and Board Champion for best practice groups and regular speaker on aspects of project management. He is a professional member of the Association for NLP and an NLP Master Practitioner. The book is essential for everyone who is involved in business change. 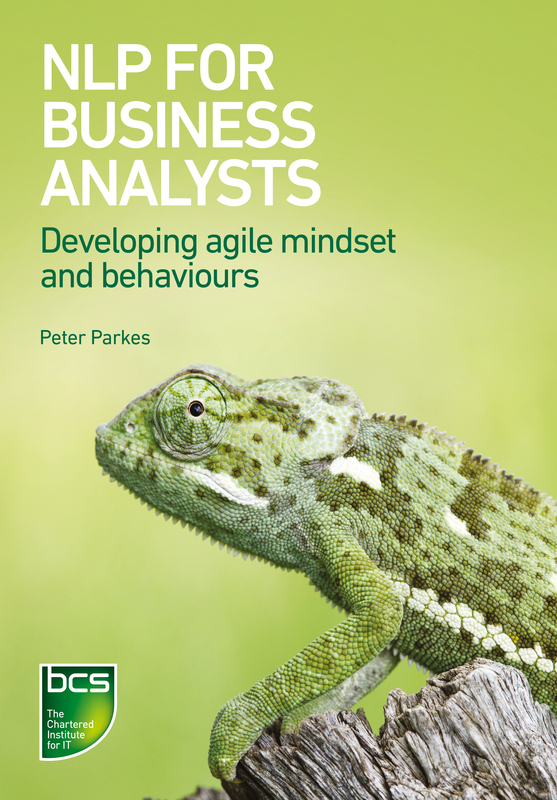 Peter Parkes emphasises the need for self awareness and soft skills to deal with internal and external stakeholders. Peter has done a great job of bringing the generic tools of NLP into a pragmatic framework to help with business analysis. As the role of BA is growing to be more and more strategic, effective use of soft skills and stakeholder management will distinguish great BAs in the near future. The approaches proposed in this book definitively benefit the development of these required skills.